It started as a whisper, now it’s a scream. David Kramer’s Op-Ed is just the latest jab thrown in a seemingly endless anti-RT barrage in certain sections of the US media and body politic. This has manifested itself in various forms, from John Kerry dubbing RT a “propaganda bullhorn” to Andrew Lack, briefly CEO of the Broadcasting Board of Governors (BBG), throwing the network in with ISIS as a “challenge” to the US because he was bothered by our particular “point of view," to a stream of less-than-rigorous publications simply inventing facts about the channel. A few days ago in The Washington Post, Kramer, of John McCain’s eponymous Institute for International Leadership, launched into a tirade of anti-Russia vitriol. He reserved particular contempt for RT, extolling the virtues of freezing its assets. Ostensibly, this would punish Moscow for two court rulings “involving the multibillion-dollar Yukos oil company.” Two birds, one stone. The former George W. Bush-era apparatchik starts off by confusing RT with the separate Rossiya Segodnya (formerly RIA Novosti) news agency, which is a rather elementary error for a supposed Russia “expert” (thankfully, the editors eventually corrected that error after we contacted them). Kramer then suggests that the US government seize RT’s assets in the US as compensation for Yukos, a former Russian oil company. 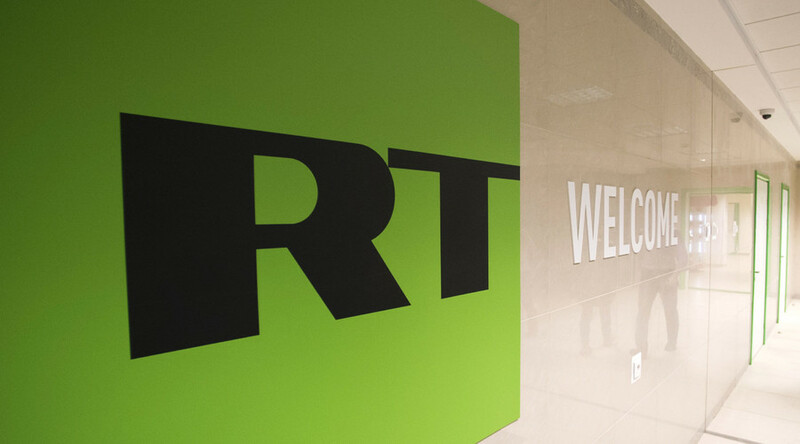 Given that RT’s property is not Russian state property, this would be highly illegal, as RT, while publicly-funded, is not state-owned. But why bother with facts or legality? When silencing RT and punishing Russia are at stake, anything goes. Ironically, calls to restrict RT often come from the same quarters that exalt the virtues of diversity and democracy. Now, they wish to silence a rare voice that dissents from their favored delineation. It has long become apparent that individuals selected to write about Russia in the mainstream US media are measured on their willingness to attack the country. If such rhetoric was confined to fringe websites or late night talk radio, it mightn’t matter a great deal, yet published in an institution such as The Washington Post these pronouncements have the potential to greatly influence policymakers. It is alarming that it is precisely these kinds of voices that are increasingly dominating American foreign policy discourse where Russia is concerned – those itching for a confrontation, rather than understanding. Why do certain elements in the American establishment fear RT so much? Could it be because RT doesn’t take the pronouncements of the State Department at face value, unlike virtually every other organization operating in the US media space? I cast my mind back to 2003, when George W. Bush and Tony Blair were planning the invasion of Iraq. The mainstream US media failed to offer rigorous analysis of their foundation for war. RT was not yet around, so we can’t take credit for what we could have, or would have, done – but now all of us can see what happens when the establishment view remains unchallenged. In 2011 and 2012, RT was up and running – and, while our mainstream media colleagues were celebrating the “victory of democracy” amidst a wave of Middle East uprisings, we reported on the risks posed by the destabilization. Fast-forward to the present day, and the dangers posed to the entire world by Islamic State, a terror organization that grew out of precisely that destabilization. Perhaps if, instead of spending their energy on inventing preposterous impediments to RT’s broadcasting, the western establishment actually listened to what we have to say, Tony Blair wouldn’t have to apologize, as he did last weekend, for “mistakes” that contributed to the rise of ISIS. RT, fundamentally, is here to help. It’s time the US elite realized this. Part of this column appeared in “Letters to the editor” section of the Washington Post on November 2, 2015.